Are you looking to make leadership more than just a buzzword in your organisation? Leadership Development Programmes are ideal for organisations, business units or teams looking to develop leaders in a group or workshop style situation. These programmes are hands-on, practical and specifically designed to give each participant – regardless of their title – a leadership mindset as well as the practical leadership skills and strategies to back it up. Higher Ground is a long term Leadership Development Programme. It’s perfect for organisations who really want to make leadership part of their culture. 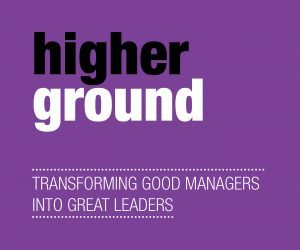 Higher Ground combines the best of all of our Leadership Development Programmes, Leadership Coaching Packages and Leadership Facilitation services to provide you with the most inspiring Leadership Development experience in the Asia Pacific. 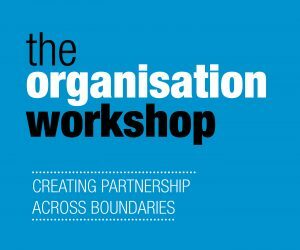 The Organisation Workshop is a 1-2 day Leadership Development Programme designed to break down organisational silos. It’s specifically designed to bring together all levels of your organisation and instil in participants a sense of personal responsibility for building better relationships, up, down and across your organisation. 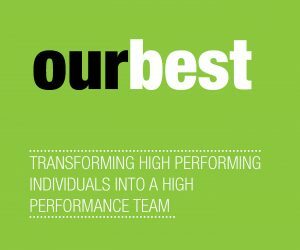 This Leadership Development Programme is specifically designed for intact teams. It provides teams with a foolproof system for understanding each other and breaking down any barriers to effective collaboration. In doing this, Our Best shifts the responsibility of ‘teamwork’ and the success of the team to each individual member, not just the formal leader(s). If a recent merger or acquisition has disrupted the status quo in your organisation, this one-day programme can help. 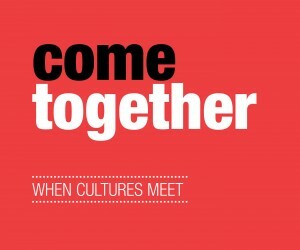 Come Together is a unique Leadership Development experience that gives recently merged organisations or teams a system for bridging any interpersonal gaps between each culture allowing you to fully maximise the synergies of the merge. When business results depend on leading others, it helps to understand what followers need. Yet too many leaders emulate celebrity CEOs or bosses they admire, trying to be people they aren’t. As a result, they often fail. If your leaders fail, your organisation will too. Based on the work of London Business School Professors Goffee and Jones, this BlessingWhite programme allows leaders to remain true to who they are, while simultaneously modifying their behaviour to respond to the needs of their followers and the circumstances they encounter. They are then able to be themselves – more – with skill, releasing and focusing amazing amounts of energy to create amazing results.